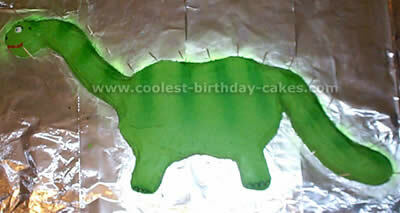 For serious Jurassic period lovers, we bring you this dinosaur cake section. 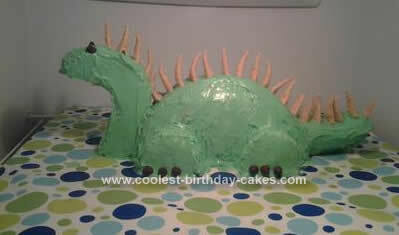 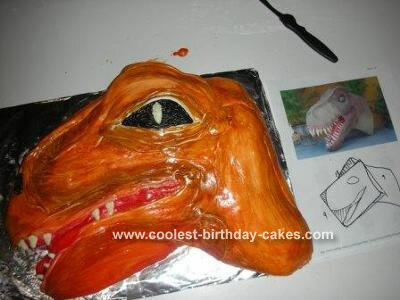 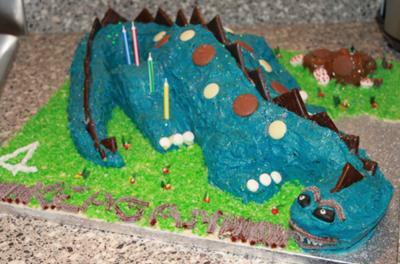 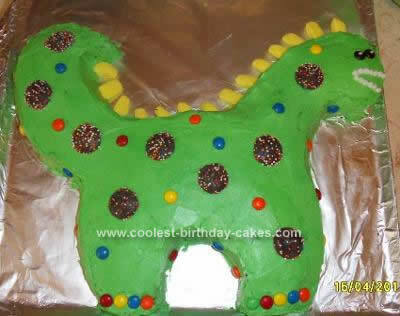 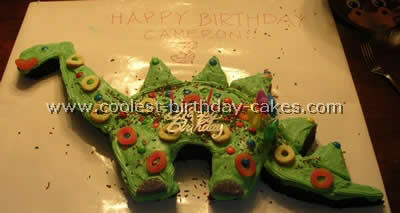 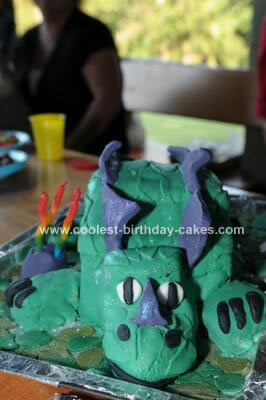 Go back in time to when dinosaur cake ideas ruled the world. 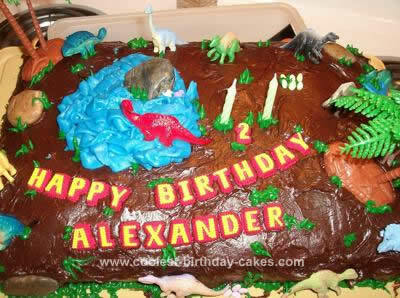 Who knows what color skin the dinosaurs really had? 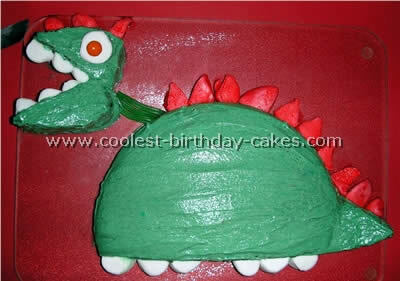 Some creative bakers have envisioned them in orange, red, pink and even green. 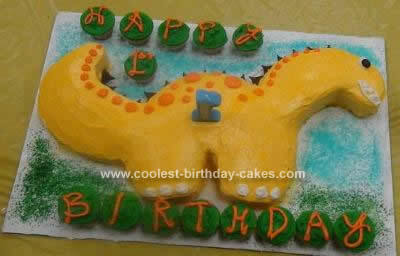 For those who need a seriously petrifying dinosaur, learn how others have successfully managed to accomplish this task. 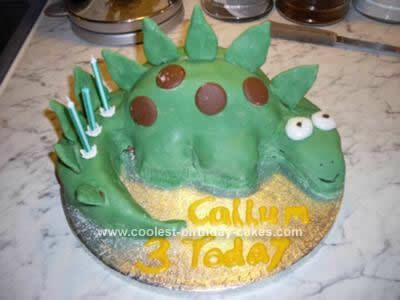 You may not want to scare your dinosaur loving child (or adult) and give it a smiley face instead. 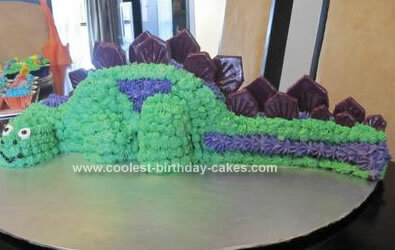 With dinosaur cakes, it’s all in the details. 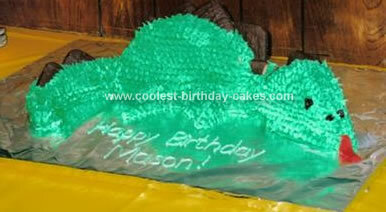 Find out what makes sturdy bony plates. 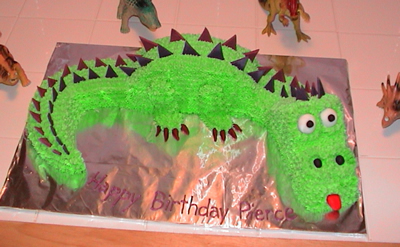 Learn what our decorators used to make realistic tail spikes. 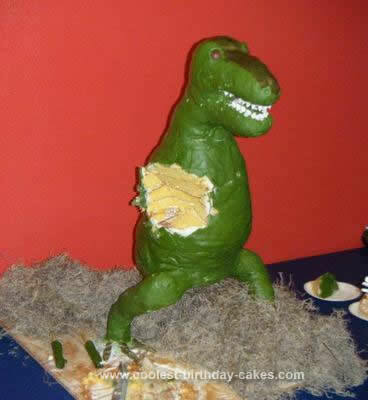 Find out how can you make sure Tyrannosaurus Rex stays standing and doesn’t fall over? 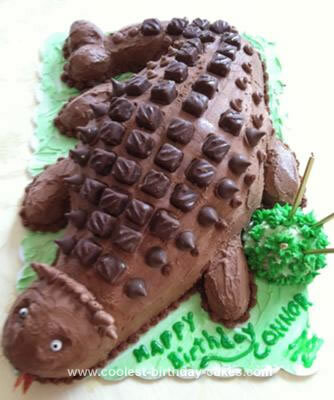 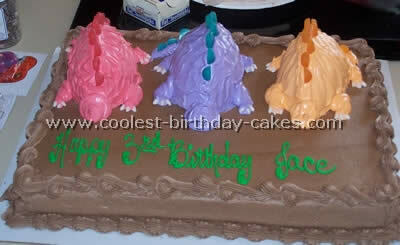 If the real deal is too creepy for you, take a look at our fossil cakes. 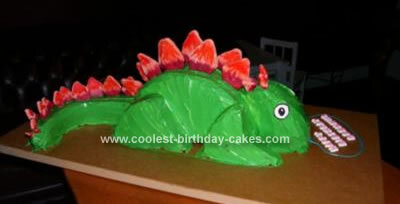 Easy to make and very realistic looking, they are sure to impress your dino-geek. 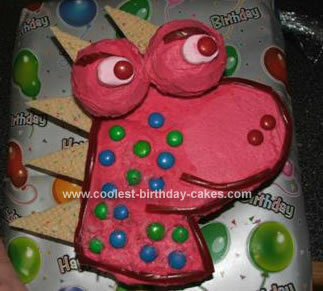 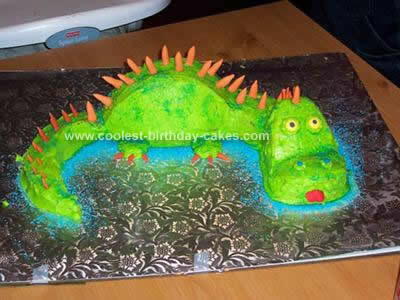 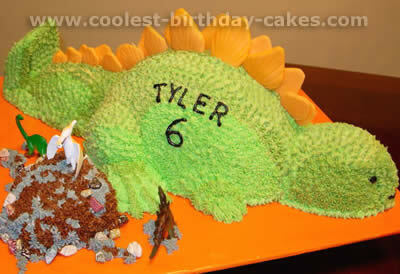 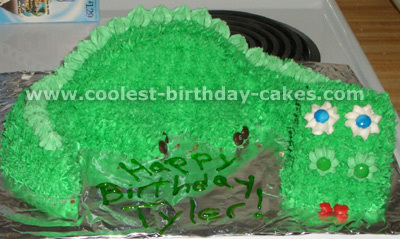 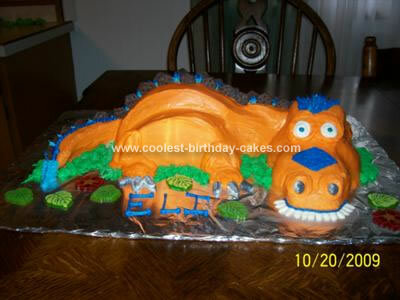 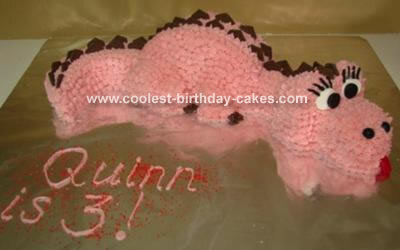 Watch out: ferocious dinosaur cakes ahead!